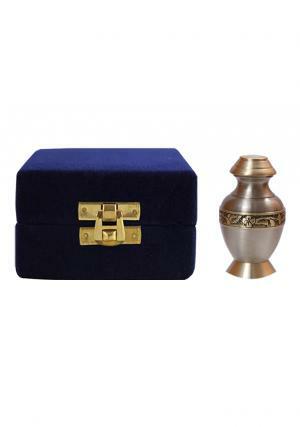 Guardian angel classic keepsake urn has clear distinct presence with a pewter finish on solid brass metal. 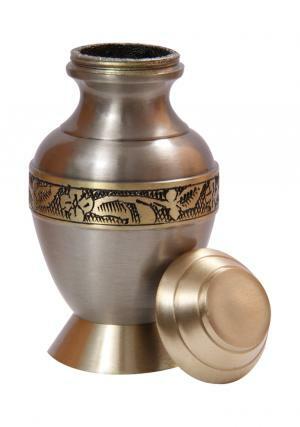 The brass keepsake urn decorated in flower band circled with gold and gold coiled plate at the bottom. 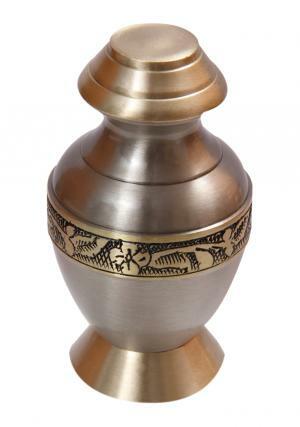 The lid of the mini keepsake urn is printed in brushed gold with threading to close the inner chamber that carries small amount of ashes of the loved one. 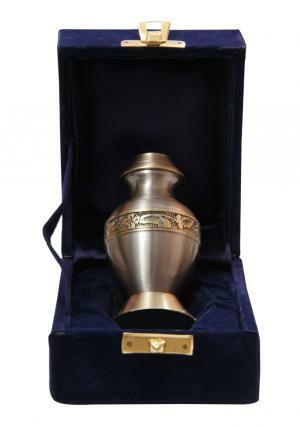 The small keepsake urn measures to 3.25” inches tall and 1.87” inches width, weighs approximately 0.18 Kg and carries 3 tablespoons or 3 cubic inches of ashes. 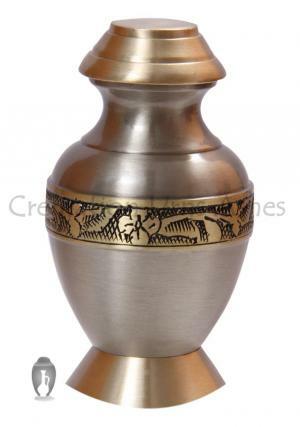 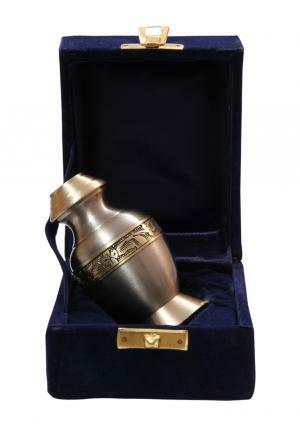 The cremation urn for ashes will make it to be a beautiful monument of present to the ashes of the loved one.